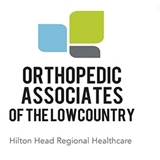 Orthopedic Associates Of The Lowcountry (Hilton Head Island) - Book Appointment Online! At Orthopedic Associates of the Lowcountry we provide comprehensive, patient-centered orthopedic services including cartilage restoration, joint reconstruction and replacement, pediatrics, sports medicine, trauma, fracture care, and physical medicine. Our orthopedic surgeons can diagnose and treat many types of bone and joint problems using minimally invasive techniques. Extremely satisfied. He is highly professional, knowledgeable and explains information thoroughly. professional, personable, spoke at my level, explained my issue in-depth.